The United States has charged the former NSA contractor with espionage and has said numerous times he does not have valid travel documents because his passport is revoked. Washington has asked Moscow to expel him. But so far, that hasn’t happened and capturing him is complex business. 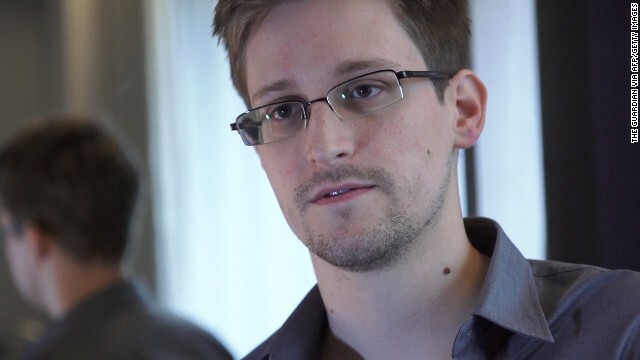 Snowden appears likely to try to avoid the chance of U.S. capture even if Russia grants him papers to leave. The United States has no extradition agreement with Russia and while FBI Director Robert Mueller has been in contact with his counterparts in Moscow, federal agents in the American Embassy have no authority to make arrests. If Snowden tries to leave Russia, the United States will carefully watch the route he takes if he tries to reach one of the Latin American countries willing to take him in. The presidents of Venezuela and Bolivia have said their countries would give Snowden asylum, and Nicaragua's president said he would offer it "if circumstances permit." The United States could grab Snowden if any plane carrying him were to refuel in a country that respects U.S. arrest warrants. But he likely will be careful to avoid that scenario. Nevertheless, the United States has sent provisional arrest warrants to a number of countries where Snowden could either transit or seek asylum, a U.S. official said last week. Obama, the biggest disappointment in US politics. He was supposed to be what the youngest generation was waiting for, a new blood in US politics. it turns to be no better than Bush. Snowden will be allowed to stay but only if he does as Putin says..No classsified intel is to be let out and Putin says he doesn't want Snowden compremising any future talks between these two nations by causing rifts that could strain relations that are still being repaired after Bush left office! !So if Snowden stays he'll have to be a quiet little intel guy and believe me Russia as well as America will keep an eye out watching him and making sure he stays true to his promise or else!! Superficially you are correct except that you have to follow Putin's intonnations and context of his words more carefully. For Putin the sole existence of Snowden and the overall situation around him is nothing but just nuisance and inconvenience. Russia is not a place where wistleblowers are welcomed and /or respected - this has nothing to do with Putin: it is am matter of Russian culture cultivated in centuries. Unlike some European puppets, Russia will not bend its own laws under US or whoever else pressure. The law is very clear; as Showden is not a Russian citizen he might be theoretically extradited if US proves to Russian Court that Snowden committed a crime which is also a crime under Russian Laws. So in principle, US is welcome to officially submit a case against Snowden into Russian Prosecutor General Office. Until this is done and considered by the Court there is no legal basis for extradition. Various officialls condemning Snowden on TV intervies does not count. Snowden himself has burden of proof that he is politically procecuted - and these TV inteviews actually help him to bolster his case. Especially accusation in espionage. So in retrospect Putin actually offers an optimal way out all the parties involved: Snowden escapes prosecution in US, while making Snowden quiet spares US from further embarrassment. Does anybody have any reason to complain? Putin says: Don't release anymore intel damaging to the US! However, what he doesn't say is that I will get everything you have for my own use! Putin is not a stupid politician! He gets what he wants, one way or another! Putin may be not so stupid, but actually I start doubting this: Putin makes too many side remarks bout Snowden which are losely worded and may be re-interpreted in the media resulting in the possibility of shaping Putin's words into whatever CNN and other media wants. If Putin does not understand this, then too bad for Putin. Putin is no longer Putin as we knew him back in 2000. He becomes older, he got a lot of baggage (Serdukov, etc...), and looks like his mind is no longer as sharp as it used to be: he makes too many stupid jokes sometimes ending up in a self-inflicted embarrassing situation (like recently during a conference with Angela Merkel). ...as far as using Snowden as a source of intelligence information - looks like FSB does not care about Snowden at all. Snowden has done what today 70% Americans will love to do to CHANGE America from a baby killers to the real civilized nation. Americans for militarism in world politics has been receiving hate in entire world as well as at home and like Snowden 70% Americans wish to change this barbaric face of USA and for this they elected Obama on his slogans for a change but warmongers in Pentagon did not let that happen. This arrogance by military dictators in USA may create more Snowden until these inhuman policies area changed. So the best way is to look into the causes then chasing the Snowden. Good posting, Bangash. Thank you. are you and Bangash not the same guy?